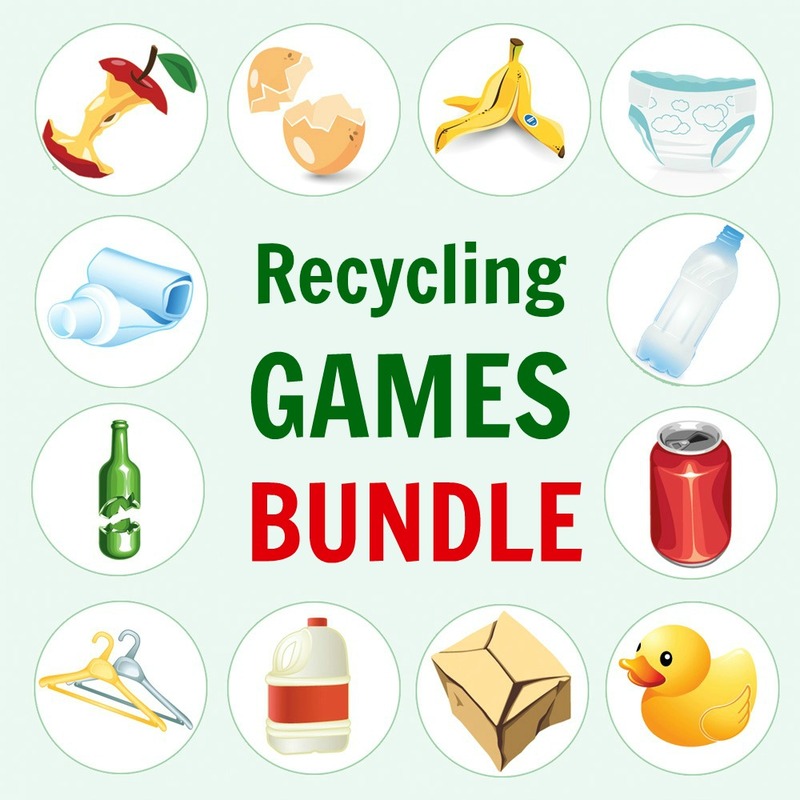 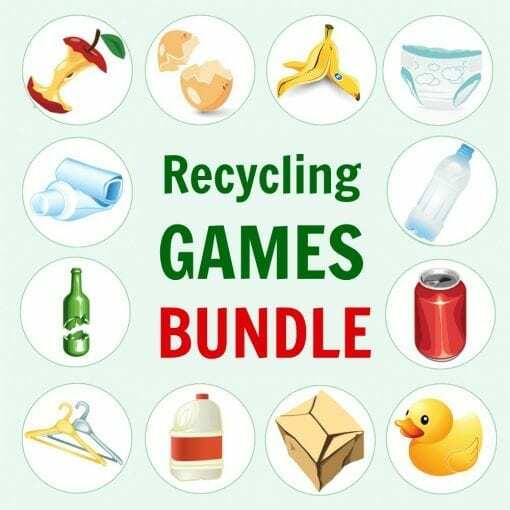 Included in a Recycling Games Bundle are 4 games: Recycling Sorting Game, Recycling Bingo Game, and Recycling Scavenger Hunt & I Spy Games. 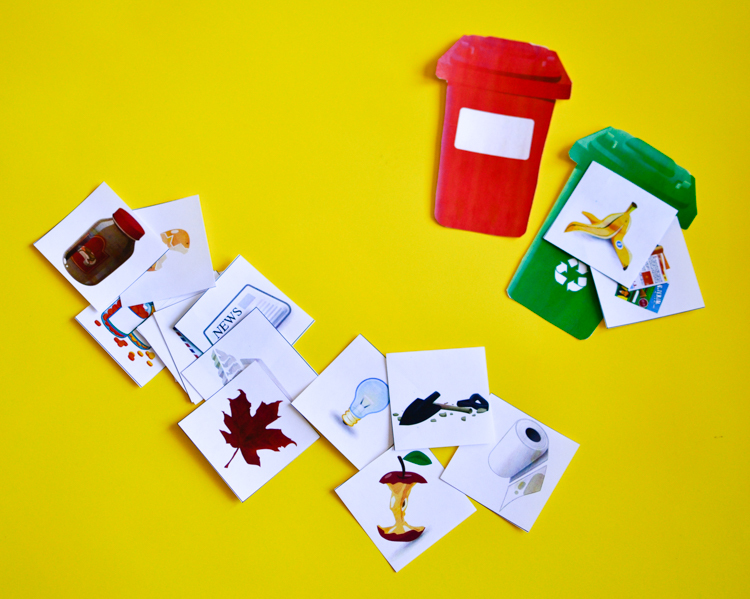 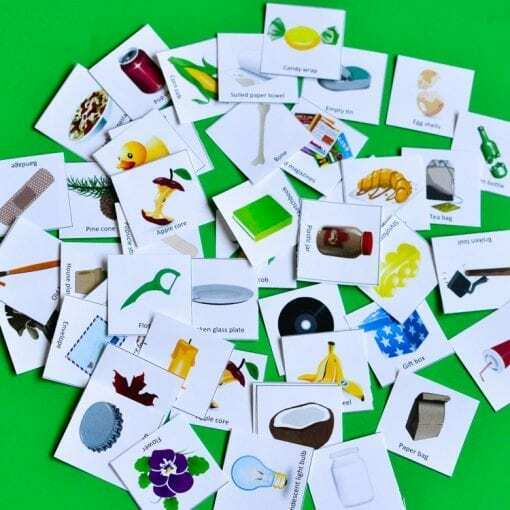 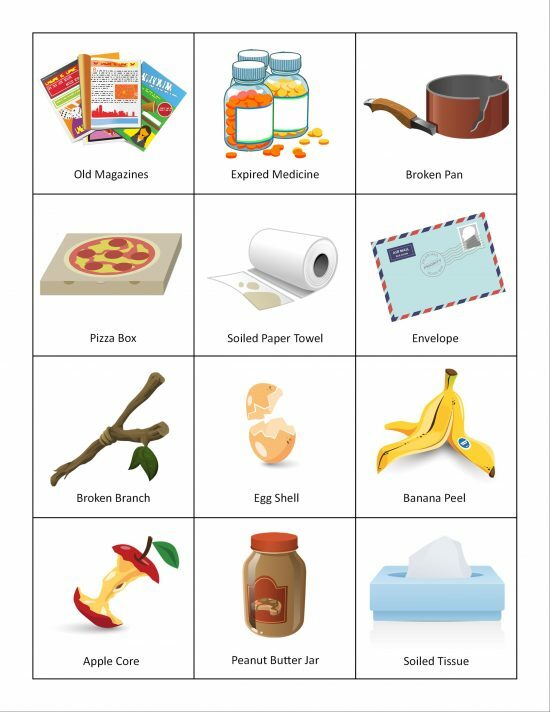 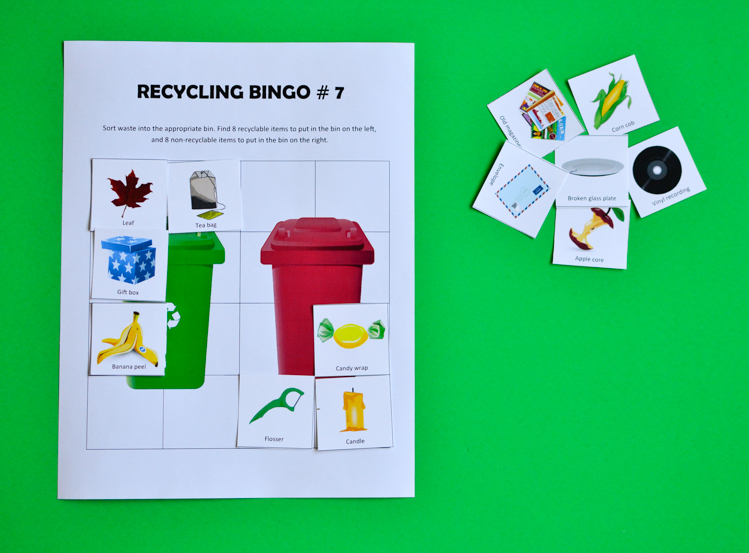 Recycling Sorting Game (buy separately here) is a printable educational game that challenges children to sort various items into different recycling bins. 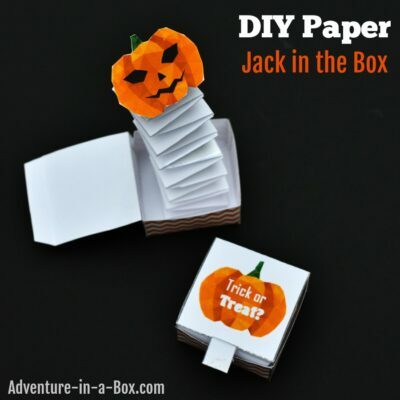 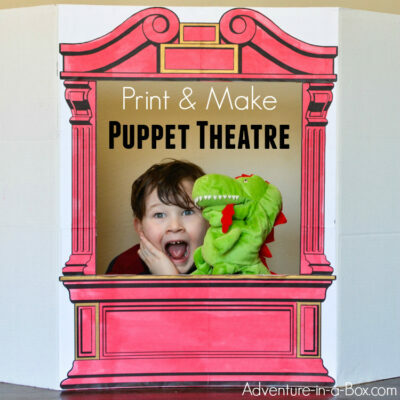 It is great as an Earth day activity or to get your kids acquainted with the recycling program in your neighbourhood! 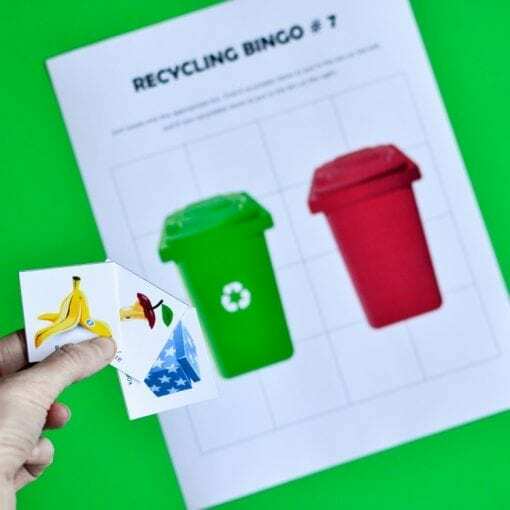 The game includes 6 waste sorting bins, 60 cards with pictures of common waste items and a general answer key with suggested recycling options for every item. 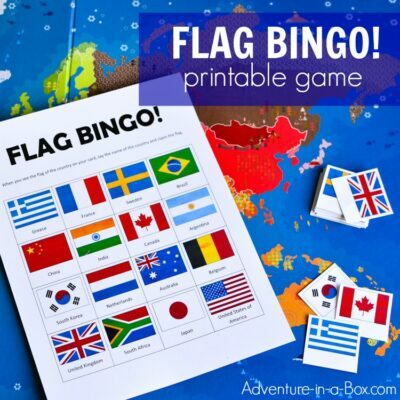 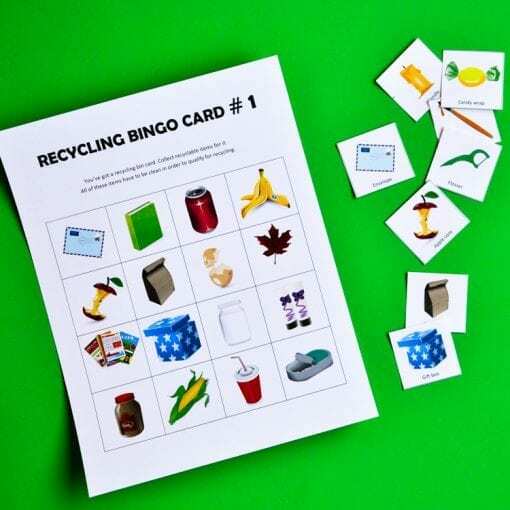 Recycling Bingo Game (buy separately here) encourages players to collect only those items that are shown on the player’s bingo card. 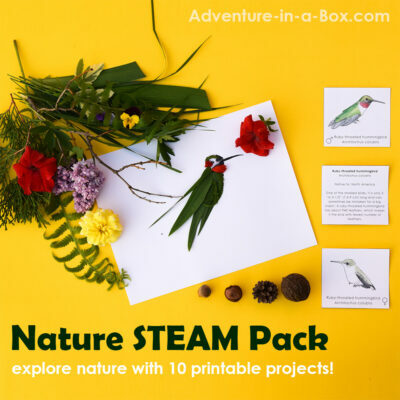 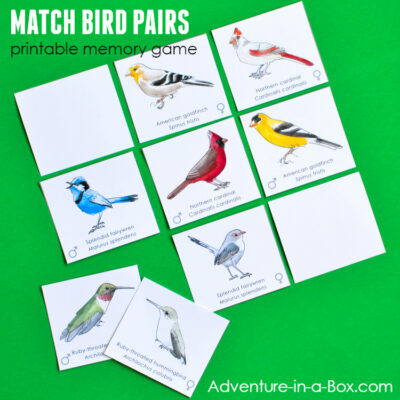 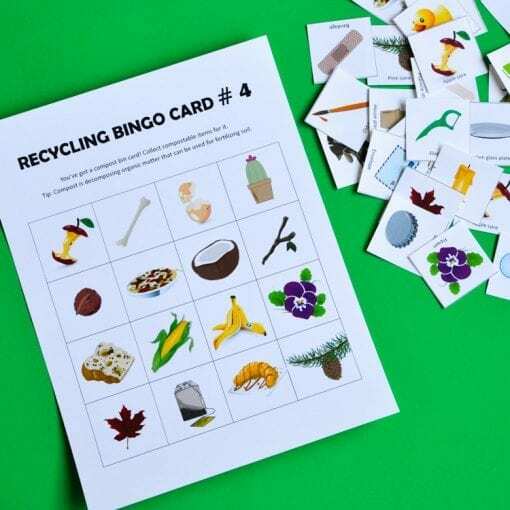 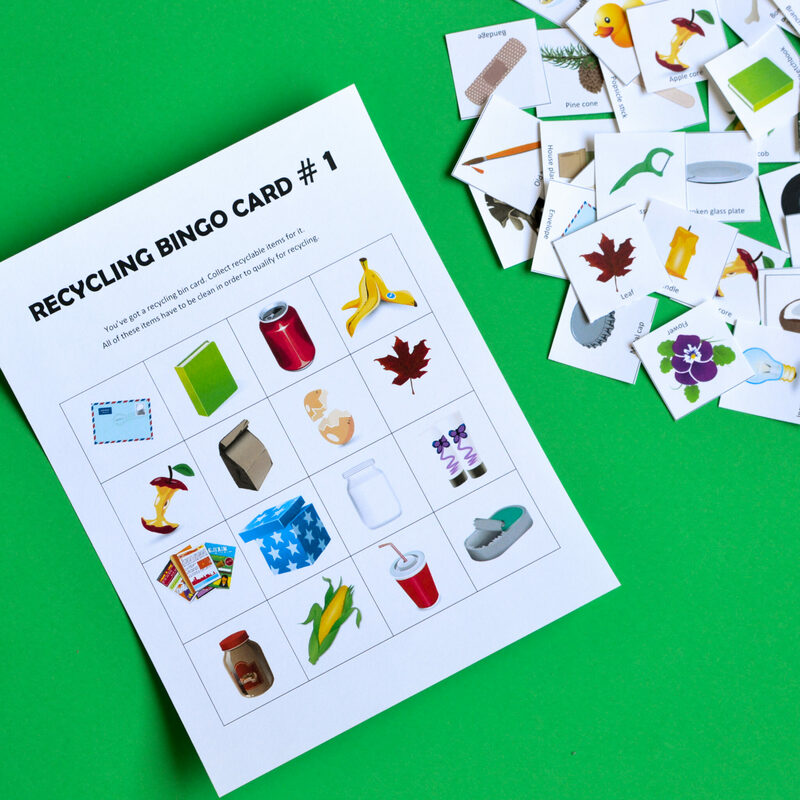 With two ways to play the game, 7 bingo cards and 70 waste cards, this game will deepen the players’ understanding of recycling and waste sorting. 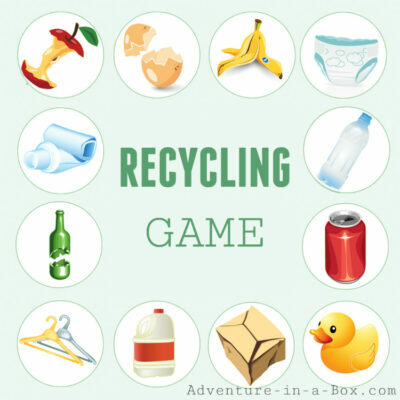 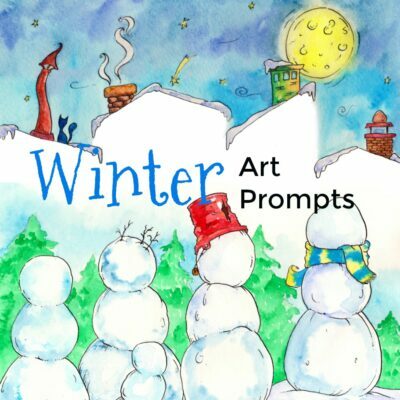 Recycling Scavenger Hunt is a game in which players have to collect a number of miscellaneous objects from a list they get. 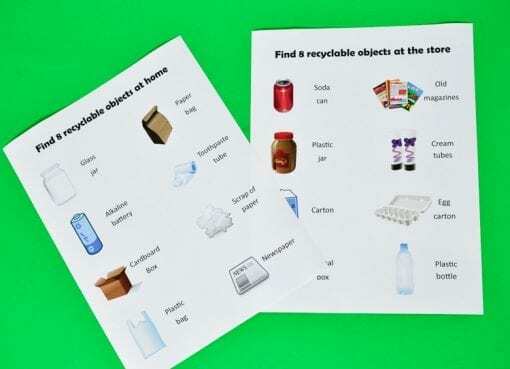 There are 4 lists that include recyclable items, compostable items and trash. 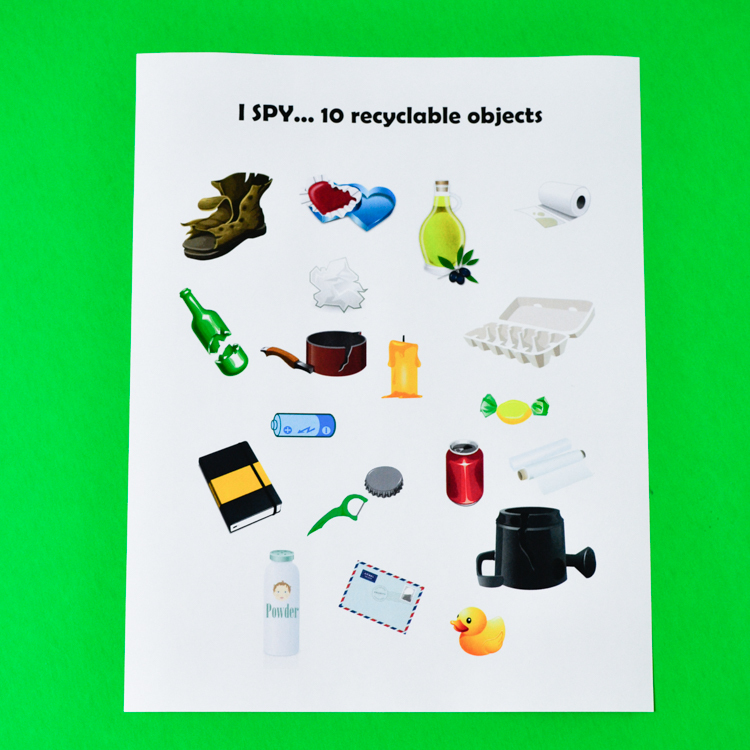 If you don’t have the physical objects on hand, use the Recycling I Spy game. Players are challenged to look through the pictures and pick the objects that are recyclable.